Congressman Westerman talked about Russia, Putin, and Trump's comments in Helsinki. Congressman Westerman answered a question about communication in rural areas. Congressman Westerman answered a question on the Blue Water Navy Vietnam Veterans Act. 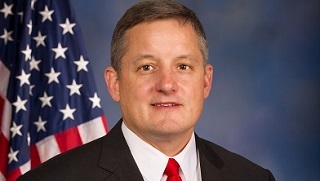 Congressman Bruce Westerman held an Access Live event to hear from constituents about important issues facing the nation. Topics of discussion include Russia, Trump’s agenda, the national debt, corporate tax cuts and communication in rural areas.